The honest Indian | Straight from the heart! The point you are making is correct and valid. But in my mind ecorruption starts with centricity of power and then abuse of it. So it follows a top down approach not the bottom up approach. So the people in power are responsible and accountable for abuse of power in democracy. Yes everyone in life has done sumthing or the other which was not ethical. But was it done wilfully or circumstances push you to do it? Vix, you’ve hit the Bulls Eye! But like Sumit correctly said, there is a top-down approach to it. If the top brass gets cleaner and stricter, the policies and goodness will naturally trickle down well. Just think of it as Mr. Delhi Metro-man being strict about timing and cleanliness of stations and it is the same us – you and I, who follow the norms strictly. Very well said, Vikram. We all find a reason to blame someone else for our ills. Finger pointing is the favourite passtime of an average Indian. That is the basic reason for lower rate of productivity in India compared to developed countries. No one is willing to look within. The easy way out is to point to the top. We forget who elected these politicians. Who made them corrupt? Who funds their elections? Who sits at home on election day and watches TV instead of going to the polling booth leaving that mundane task to those at the lower rung of society. And then these arm chair critics will lambast a govt for corruption, taxes and lack of development. 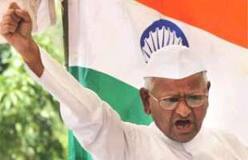 If Anna was so honest, he should have returned the Padma Bhushan awarded to him by Narsimha Rao govt in 1992 and this PM was jailed for bribery after demitting office without any Lokpal. The bhed chaal is another favourite passtime of Indians who are joining the tamasha maybe to see themselevs on TV and having no understanding of issues or Lokpal bills and the opposing viewpoint. They are all naive and leading Indian democracy to the doom where mobs will decide what a govt should do. 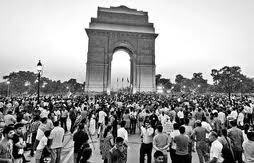 Bills will be passed by fasting at Jantar Mantar. Corruption must end but the way to do that is to make oneself honest first. The big ‘C’ of corruption can be countered by five more ‘C’s! The first, I would say, is the sense of ‘Connectedness’. A lack of connectedness or sense of belongingness breeds corruption in society. That is why, often, you see people looking for connections, in order to avoid corruption! A sense of belongingness among people, among the community, can root out corruption. That is why corruption is lowest at the village level; but when it comes to urban areas, cities, it’s much more because there is no community sense there — no belongingness. The second ‘C’ is ‘Courage’. A lack of self-esteem or confidence in one’s own ability is one of the causes of corruption. It is fear, or insecurity in a person that makes one become more corrupt. He then tries to find his security only through money, which doesn’t really happen.The more money he acquires, the insecurity doesn’t disappear. 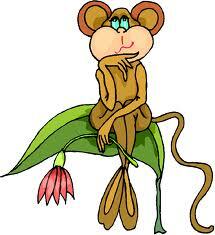 In fact, he becomes more afraid and more fearful because the money is not earned in a right manner. So the second ‘C’ that we will have to focus on is to create that courage in a person — courage and confidence in one’s ability and in the laws of nature. Third is an understanding of ‘Cosmology’ — looking at one’s own life in the context of extended space and time. Just take a look at our own life. How long is it? Only 80-100 years! See life in the context of the huge dimension of time. Billions of years have passed since the creation. Our creation, as scientists say, is 50 billion years old. And everything in this creation is recycled. The air we breathe is old, every cell in our body, every atom is old, the oxygen and hydrogen is old!. And this will continue. Seeing life from a different perspective of space and time is what will deepen one’s vision about one’s life. Being corrupt, one amasses a lot of money and puts it in the bank. One can’t spend all that money and then one dies. One’s children inherit the property and then they fight over the inheritance! Seeing life in the context of this huge universe and unfathomable time can broaden one’s vision, can broaden one’s mind and can enrich one’s heart. The fourth ‘C’, I would say, is ‘Care’ and ‘Compassion’. Care and compassion in society can bring dedication. It is the lack of dedication that causes corruption. The Kumbha Mela in India was attended by a total of 30 million people — nearly 3 million people each day, and there was not a single incidence of violence, theft or robbery!.One night, we were distributing blankets to the poor as it was very cold and I came across a youth, who refused to take a blanket, saying that probably someone else there needed it more! That sense of care and compassion: ‘It doesn’t matter even if I don’t have, somebody needs this more. We have to care for them’. That care and compassion can root out corruption. But all this cannot be possible without individual upliftment. Spiritual upliftment. A sense of belongingness with the whole world. Today the globe has become a village. We have globalised everything other than wisdom. And that is one of the causes of terrorism and unrest in the world today. We accept food from every part of the world, we accept music from every part of the world, but when it comes to wisdom, people seem to shy away. If every child in the world learns a little bit about all cultures, a little bit about all values, the whole scenario will be different. Then one will not think, ‘Only I will go to heaven. Everyone else will go to hell’. This wrong education or lack of education has caused so many problems in the world. A sense of belongingness with the whole world — it doesn’t matter what colour or race you are — is that shared value that we are talking about today. Even if one pocket in the world remains ignorant of these shared values, common values, the world will not be a safe place. So we need to address these issues with a lot of patience. It is not a job that we can do overnight, but through education and creating that sense of community, through inspiration and example. Make a subtle distinction between spirituality and religion. Religion is like the banana skin and spirituality is the banana. Spirituality or the common values are the same, in every religion. The differences are only on the surface. and they are good! It’s good to have differences. Nurture the differences and at the same time enliven spiritual values. Then we all get together and make a change. Make a better society.